There is still a lot about melanin that science is yet to uncover, like how it travels from the melanocyte cells (cells that produce melanin) into the skin cells. What is known however, makes looking after your skin that much easier. 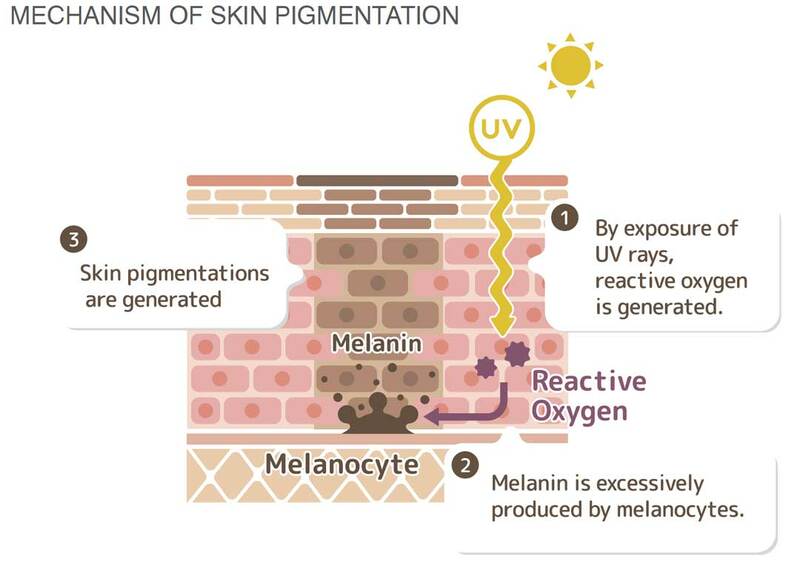 Melanin is a pigment produced in melanocyte cells, contained within a specialised cellular vesicles called melanosomes. Dictated by your genes, melanin gives colour to your skin, eyes and hair. It is not the number of melanocytes that determines the colour of the pigmentation rather it is the differences in the type of melanin being produce and the size, number, and packaging of melanosomes. There are two types of melanin that affect the colour of your skin; eumelanin providing primarily black and brown colours, found at higher levels in darker skin tones and phaeomelanin providing reddish colours. More than just what determines the colour of your skin, melanin is a defensive mechanism created by the body to protect the DNA strands within a cell from ultraviolet radiation (UVR). Melanin has the ability to act as a protective barrier between DNA in the skin cells as it has the ability to scatter UVR. It also acts as an absorbent filter reducing how much UVR penetrates the epidermis by up to 50-75%1. Very dark skin tones only allow 7.4% UVB and 17.5% UVA to penetrate the epidermis while extremely fair skin tones can have levels as high as 24% UVB and 55% UVA pass through2. Remember it is the UVB that causes sunburn, its intensity rising and ebbing throughout the day, peaking between noon and 2pm. UVA is what causes more permanent damage deep within the epidermis, its intensity staying the same throughout the day undeterred by time or weather. In order to protect DNA within the cells from UVR exposure the melanin forms a shell over the DNA, that looks like an umbrella. This collection of melanin is what causes darker areas of pigmentation on the skin ranging from a tan to sun and age spots. FREE RADICALS Additionally, melanin, especially eumelanin, functions as a free radical scavenger, collecting and storing it. Free radicals cause irreparable damage to the cellular membranes, breaking down the cells resulting in early, visible signs of ageing such as wrinkles, saggy skin, and pigmentation. While it may not be widely known that melanin assists in reducing the damaged caused by UV induced free radicals, antioxidants are a commonly used to fight free radicals. Antioxidants work by donating one of their own electrons to the free radical, there by neutralising it. Vitamins A, E, and C are commonly used sources of antioxidants in skin care products, the trick being to use them in conjunction with each other along with oligomeric proanthocyanins (OPCs) in order to best combat the destructive free radicals. The reason for this being that together they are able to lend each other electrons pooling together their resources to neutralise the free radicals more effectively and efficiently. Also when the skin suffered from extreme sun damage it can take seven days for the skins Vitamin A receptors to restore. This is why when treating the skin it is always important to use a variety of vitamins, nutrients and minerals. There is no one hit wonder when it comes to skin. may not cause the skin to visibly burn but it still incites inflammation and trauma, resulting in what is called Postinflamed Hyper-pigmentation (PIH). 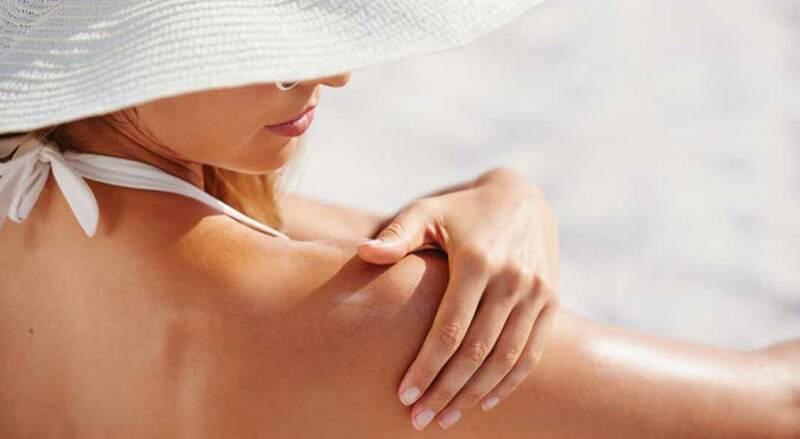 After years of sun exposure with no visible damage, suddenly later in life sun and age spots can start to appear, usually on the hands, arms, neck and face. This hidden pigmentation can form from as early as fifteen years of age and as it turns into age spots, also known as lentigines, it creates dysfunction in the epidermis. Lentigines shrink and flatten the surface area in the lower layers of the skin, preventing capillaries that would deliver oxygenated, nutrient rich blood from reaching the top layers of the epidermis. It is this dysfunction within the epidermis and dermis that differentiates a lentigines from a freckle (ephelides) as they do not impede on the skin functioning optimally. UVR is not the only cause of PIH, any trauma to the skin can result in an extensive output of melanin as the skin reacts defensively. Often a reddish to purplish colour forms around healing wounds, picked pimples, inflamed acne and reactive skin conditions, this is normal to occur. However, because melanin is a defensive mechanism if the skin’s systems and structures are not in sync it can trigger a release of melanin that is not necessary. The body does not differentiate between threats and attacks on its systems and from systems that are just out of balance, they are all treated and responded to in the same way. This explains why PIH can occur in conjunction with other skin conditions particularly if the skin is prone to pigmentation and why it is so important to build and maintain optimally functioning skin. Genes are what determine whether the skin is prone to pigmentation and it cannot be determined with certainty by just observing the colour of a person’s skin. This is particularly true in a country like Australia where multiculturalism is thriving. It is much better to err on the side of caution and to wear sunscreen everyday even if you work indoors because you can still be exposed to UVA and UVB while traveling or when sitting near a window. DMK Soleil Defence SPF50+ protects the skin against both UVB and UVA without feeling greasy on the skin or affecting the appearance or feel of makeup. Prevention is always easier than revision particularly for pigmentation as the melanosomes can be spread through all three layers of the skin being as deep as the hyperdermis. 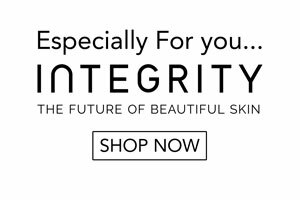 This can make it extremely difficult even with transdermal delivery systems and products and laser treatments to penetrate this deeply to revise the pigmentation. Remodelling peels are the most effective way to revise pigmentation working to draw the melanosomes up, out and off the new skin forming underneath. PASSIVE HYPER-PIGMENTATION Pigmentation can also be the result of fluctuations in hormonal levels, this is much more common in women than it is in men. During pregnancy, a woman’s estrogen levels increase significantly and this can cause a large masque like area of pigmentation around the face called Melasma. It reaches across the forehead, along the cheekbones, and around the mouth and chin. Women who are pregnant with a girl are said to be more likely to experience this type of passive pigmentation. Usually it will fade not long after the baby is born but if the skin is already prone to pigmentation than this may not be the case. It will require a holistic approach to skin revision treatments, looking at both hormone levels and the dysfunction within the skin. Pigmentation, whether it is genetic freckles, post-inflammatory or passive, can be extremely stubborn to revise but it is possible with extensive treatments and the support of a Home Prescriptive regime. The easiest and cheapest thing to do though is to prevent pigmentation from occurring. Keep the skin functioning optimally, cover up when out in the sun and apply sun screen everyday even when you may be in doors. 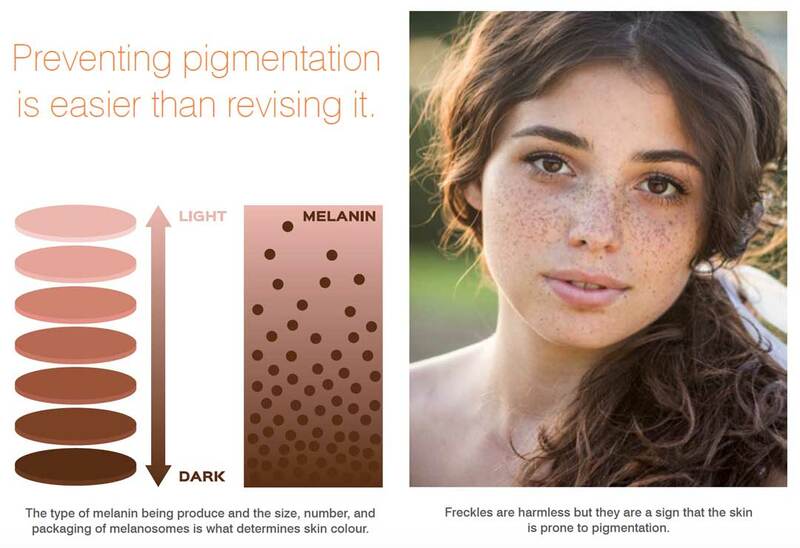 Before the real heat of summer sets in talk to you DMK Skin Revision Technician about how you can best prepare and protect your skin from pigmentation.